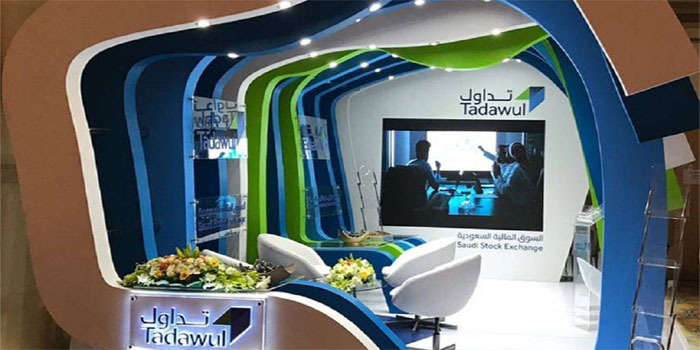 The Saudi Stock Exchange (Tadawul) started Thursday’s trading session in decline after its main Tadawul All Share Index (TASI) went down 15.48 points, or 0.2%, to 7,850.20 points. By 10:42 am Saudi time, TASI’s trading volume hit 12.12 million shares exchanged at a turnover of SAR 361.58 million through 10,990 transactions. The retailing sector dropped 0.9%, followed by the food and beverages sector with 0.6%. Similarly, the telecommunication services, materials, and banking sectors tumbled 0.5%, 0.26%, and 0.21%. On the other hand, the consumer durables and apparel sector inched up 0.44%, while the utilities sector increased by 0.3%. Swicorp Wabel REIT Fund’s stock led losers with 3.8%, whereas Saudi Ceramic Company’s stock topped gainers with 3%. Meanwhile, NOMU, the benchmark index of the Nomu-Parallel Market, edged up 2.19 points, or 0.08%, to 2,588.81 points. The stocks of Development Works Food and Al-Samaani Factory for Metal Industries levelled up 1.6%, and 0.85%.